“You ain’t tough enough to play in New York." 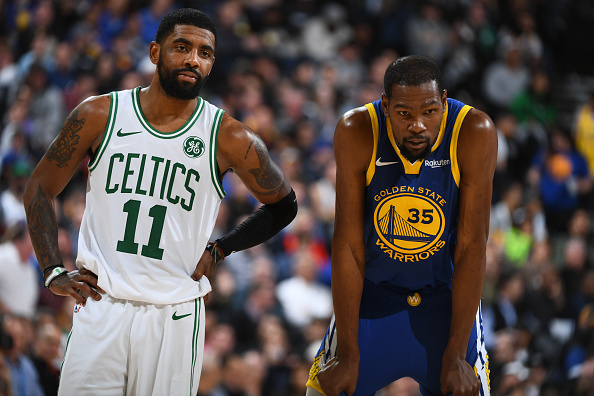 NBA Hall of Famer Charles Barkley doesn't think that Kevin Durant and Kyrie Irving are built for New York. The two All Stars are set to become free agents this summer, and there have been plenty of rumors regarding their desire to team up in NYC. According to Sports Illustrated's Jimmy Traina, Barkley's advice to Durant is this: “You ain’t tough enough to play in New York." Barkley continued, "I dont think Durant or Kyrie are tough enough to play in NY. Kyrie's a very good player. Kevin's a great, great player. But Im not sure they have the mental make up to play in NY. Those guys are complaining about the media asking questions. Maybe NY isnt for them." This isn't the first time that Sir Charles has been critical of the two superstars, both of whom have had disputes with members of the media this season. During an appearance on ESPN earlier this month, Barkley shared his thoughts on Kyrie, who he described as "one of the most miserable people I've ever seen," due to Irving's recent negativity towards the media. Last Summer, Barkley appeared on Sports Illustrated’s Open Floor podcast, where he labelled Durant as thin-skinned and "a really nice guy trying to be a bad guy."